Portugal's varied landscapes provide unrivalled opportunities for memorable walking tours and holidays. 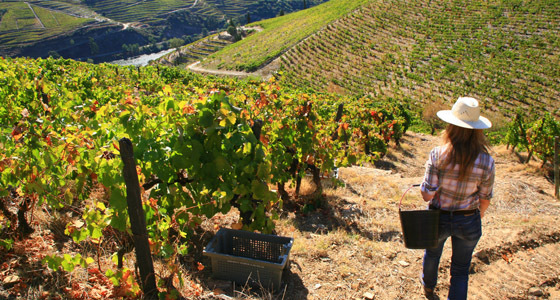 The lush landscape of Portugal's north is rich agricultural and viticultural country. The central and southern regions are less green, yet they support olive groves, vineyards, and citrus trees. In spring, they are a sight to behold when the almond blossoms are in full bloom and in autumn it's lively picture when the grape harvest takes place. Right in the middle of the Atlantic, the island of Madeira is a haven of natural beauty. The exotic colours of the flowers stand out from among the blue sea and the emerald green vegetation; this is an archipelago where two thirds are a protected area and where the largest Laurisilva forest in the world is located. 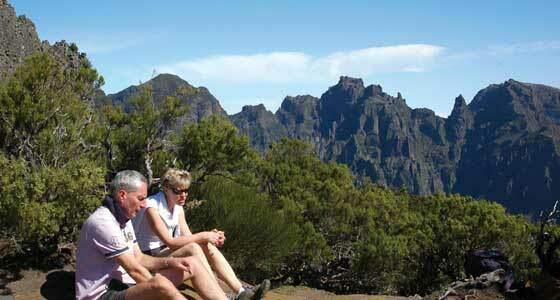 Our self-guided walking holiday in Portugal take you to the beautiful island of Madeira for some high mountain walking and some gentle Levada (irrigation canal) trails, with its stable year round climate. For other Portugal hiking trips, opt for the lush Douro Valley just a few hours away from Porto. Madeira, lying well out in the Atlantic where the gulf stream affords it a mild and equable year round climate. The springtime temperature (16-23c) is felt all year round, making this a wonderful destination for walking in Portugal any time of the year. Rain is possible at any time because of the island’s position as regards to Atlantic fronts. During spring and autumn especially, there is more chance of the unstable weather associated with Atlantic fronts than during the summer. So although it is generally bright and warm in this Portuguese region year round, you must be prepared for rain.